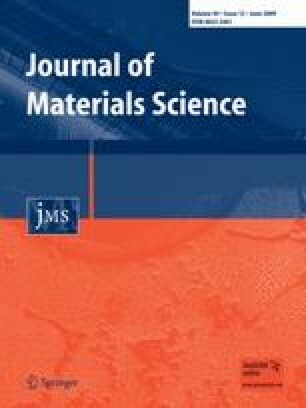 This paper reports the results of a study on the influence of curing conditions on compressive strength development in inorganic polymeric binder prepared from natural pozzolan. Three mixes with different chemical formulations were prepared and cured hydrothermally at different temperatures and times. In particular, the effect of a precuring at an atmosphere of more than 95% relative humidity at room temperature on compressive strength development before the application of heat was studied. Different curing regimes including hydrothermal treatment in steam-saturated atmosphere at different temperatures of 45, 65, 85 °C and for different time periods of 5, 10, 15, and 20 h after 1 and 7 days of precuring were applied. The mix exhibiting the maximum compressive strength after hydrothermal treatment was selected and cured in autoclave at temperatures of 125, 150, 180, and 210 °C for different time periods of 20, 30, 40, and 50 h for investigating the effects of higher times and temperatures of curing on strength development and also to determine the maximum achievable compressive strength. Results show that relatively long precuring in humid atmosphere is very beneficial for compressive strength development. The highest compressive strength achieved for three different regimes of curing including 28 days at an atmosphere of more than 95% relative humidity at 25 °C, 20 h hydrothermal treatment at 85 °C after 1 day precuring, and 20 h hydrothermal treatment at 85 °C after 7 days precuring were 37.5, 37.5, and 57.5 MPa, respectively. The maximum achievable compressive strength under autoclave curing at 210 °C for 30 h after 7 days of precuring was 108.7 MPa.